Mahugh Fire has methodically added a full line of fire equipment and products to serve customers that include state and local government, private contractors and industry We carry a complete line of Personal Protective Equipment (PPE), water flow equipment including hose and nozzles, firefighter tools, thermal imagers, wildland PPE and tools, gas monitors, pumps, fittings and adapters, tool mounts, foam, ColdFire and of course fire extinguishers for all applications. In mid-2016, Mahugh Fire became the Montana outlet for HME/ Ahrens-Fox fire apparatus. This affiliation has brought our customers another option to purchasing fire apparatus for their communities. We also are locators for previously owned fire apparatus using our many business contacts. HME / Ahrens-Fox, located in Wyoming, Michigan is a premier fire apparatus builder, manufacturing apparatus that runs the full spectrum from Type 6 engines to Aerial Ladders. They have contracts with Cal Fire to supply numerous Type 3 engines used in the Residential/Wildland Interface. HME / Ahrens-Fox uses stainless steel in their fire bodies to combat the issues of corrosion as well as to gain the advantage of strength-to-weight ratio along with impact resistance, fire and heat resistance and a great aesthetic appearance. HME / Ahrens-Fox consistently has a good variety of demo units available and of course full custom apparatus to meet individual needs can be designed and built to your specifications. We know we cannot be everything to everybody, but we have found over the years that our experience and knowledge in fire suppression has allowed us to identify many opportunities to serve customers. If we don’t know the answer or have the products you are looking for, we will help you find someone who does. We value our relationships that often turn into long term friendships. 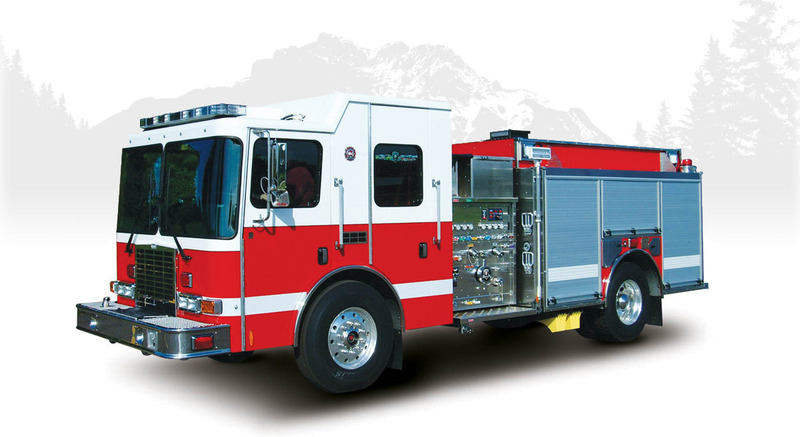 The HME SilverFox® features a tight turning HME SFO® chassis with an industry leading 52˚ cramp turn angle to access a wide range of suburban, urban and rural fire fighting environments. 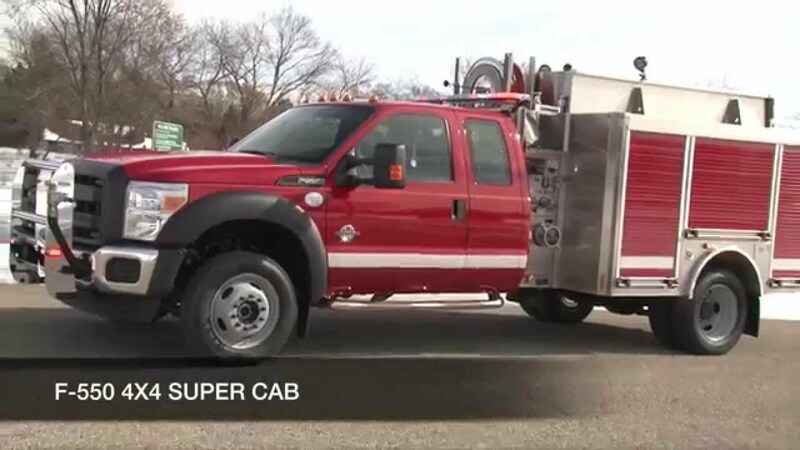 The cab’s 12-inch raised roof offers efficient access and egress. The high rescue-style corrosion resistant HME stainless steel body, roll-up doors, and Alcoa® aluminum wheels provide easy maintenance and long life while compartment storage can be customized with additional tool boards, shelving and tray to meet any need. HME Hydra Technology™ delivers 1,250 GPM rated performance with a 1,000-gallon tank. Pump controls can be configured on the side, or in a top-mount position. Additional deck guns, discharges and foam systems are also available. The HME 34D 4 x 4 Wildland sets the benchmark for the American Wildland Type III by delivering the perfect balance of stability, handling, durability and functionality in one tough, smart fire truck. Engineered to handle rugged terrain and twisting mountain two-tracks with ease the HME 34D Wildland is the product of years of collaboration with CAL FIRE. In rough and rugged wildland environments, it’s impossible to beat the tenacity and toughness of today’s HME 34D Wildland. With HME Hydra Technology™, a corrosion resistant stainless steel body, plus a full complement of wildland specific storage solutions, along with a large, four-door cab to carry a full crew, the HME 34D Wildland delivers the right stuff, for the toughest kind of firefighting found anywhere on earth. HME continues to evolve the performance of traditional wildland mini-pumpers with the 4×4 HME WildMax™. 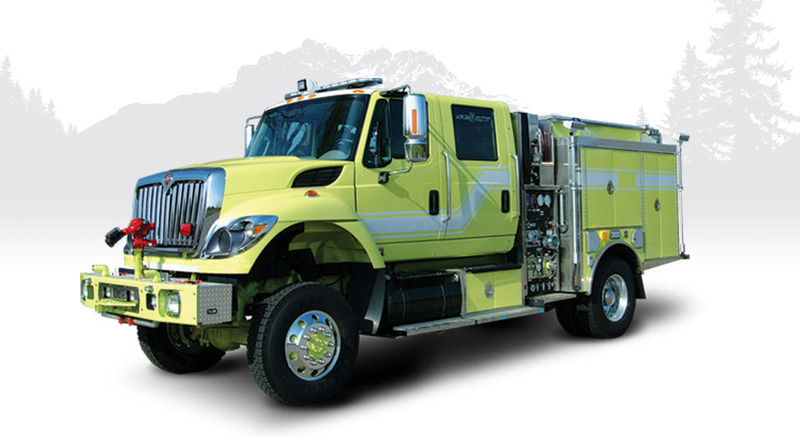 The WildMax™ delivers 1500-GPM performance with its side-mount pump, an additional diesel pump for foam and water delivery, a 150-ft booster reel, a front jump line and and other gear for wildland operations.